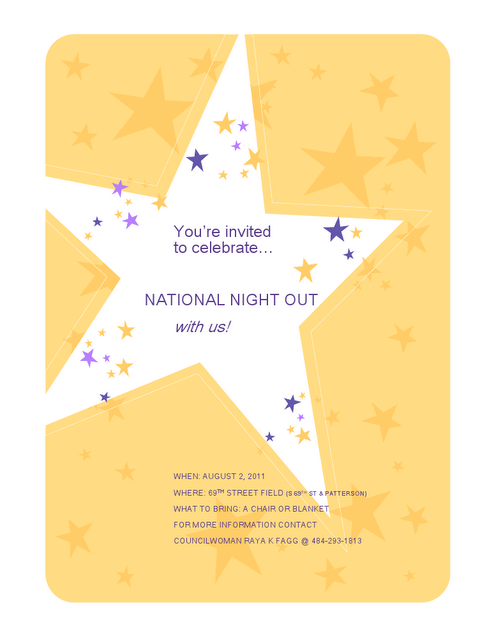 This August 2nd join Mayor Tom Micozzie, 6th District Councilwoman Raya Fagg, and 7th District Councilman Nate Goodson at the first Upper Darby Township NNO. They are partnering with The Upper Darby Township Weed & Seed Inc to host this awesome event! This gathering will be held at 505 South 69th Street (Intersection of Ruskin Lanes and 69th Street) from 5PM to 8PM and will provide meaningful information to neighbors about safety and giving back to the community. Those attending are encouraged to bring along a school supply which will be used at a later back to school rally. Those who bring along a school supply will be entered to win tickets to see Janet Jackson on August 8 at The Tower Theater. For more information about this wonderful community event, go HERE. For up to date information and events in the Upper Darby Sixth District, follow their Facebook Page HERE.